Michael has been working the airwaves for over 27 years throughout parts of the southwestern U.S., Hawaii, the Philippines, and now here on Guam! He enjoys good times with good people, time on the beach, golf, kittens, and beer (not necessarily in that order). From Country to Pop to good ol' Rock-n-Roll, Michael brings a wealth of musical experience to help kick off your weekend every Saturday morning. 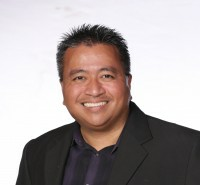 Daryl Lizama is a veteran of 25 years on the Guam radio scene with experience in all types of formats. Obviously, his specialty is seventies and eighties classic hits which is clearly evident when you listen to his show. Daryl believes music is something you got to â€œfeel.â€ You cannot just simply play any kind of music without actually living it. Itâ€™s all about the memories - every morning with Daryl Lizama! Albert Juan is the foundation of the Choice Broadcasting Staff and has been broadcasting on Guam, in his words, â€œsince ever since.â€ His very first air shift was overnights from 10 p.m. to 6 a.m. Monday through Saturday on K-StereO. Albert learned from a great many broadcasters starting with Bob Clark who came to Guam from KEX in Portland. Oregon in the 70's. Recognizing his potential and talent, Bob promoted Albert to Music Director at K-StereO and taught him the art of good music programming. Albert also learned broadcasting from Harv Angel and Dave Angell, who remain two of his good friends to this day. 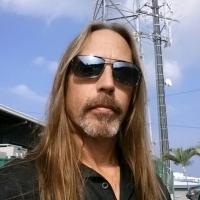 After rising to the level of K-StereOâ€™s Operations Manager, Albert next moved to K-57 where he assisted in the launch and programming of the new FM signal KZGZ, which went on the air as Guamâ€™s premiere rock station Z98. The station later transitioned to a new format under Albert, becoming Power 98 where Albert was one of the main on-air talents. While at Sorensen Pacific Broadcasting, Albert also programmed for The Rock, which later became The KAT where he held down the mid-day air shift. While programming for Power 98, Albert recognized the importance of Island Music and began including current Island tunes in the Power 98 playlist where it remains today. After programming for Sorensen for nearly 30 years, Albert moved to FM 104, which today is BOSS 104, where he is the Content Manager and serves up the Midday Barbeque weekdays from 10 a.m. to 2 p.m.
Over the course of his 40+ year career, Albert has shared his vast knowledge of radio, mentoring some of Guamâ€™s best local talent, including the BOSSâ€™ Sister Cindy. â€œI wouldnâ€™t be half as good on the radio without having had the honor of being able to work with Albert Juan over the years and soak up his expertise. He is a technical genius on the air and very giving with his knowledge,â€ she said. When not playing on the radio, Albert is an avid surfer and won two major surfing contests in the 80's. Albert also represented Guam as part of the islandâ€™s Cycling Team in the 1992 Olympic Games in Barcelona, Spain and 2000 Olympic Games in Sydney, Australia. Albert is still surfs and claims to have a personal life, but with as hard as he works at The BOSS, thatâ€™s sometimes hard to believe!